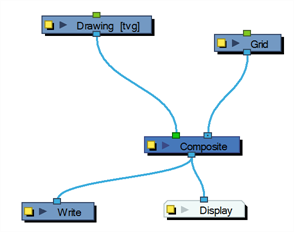 The Grid module displays a grid, in field chart unit, which allows you to position elements in the Camera view windows. 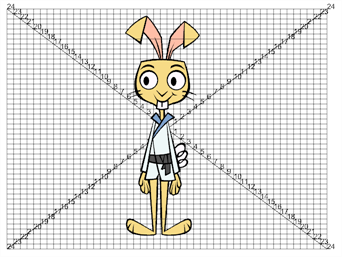 The Grid is also referred to as the Field Chart. 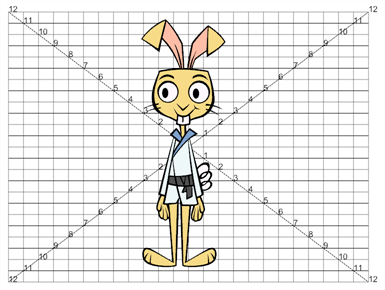 Use the Grid editor to control the quality and alignment of the field chart that appear in the Camera view. This parameter adjusts the amount of units in the grid (field chart). 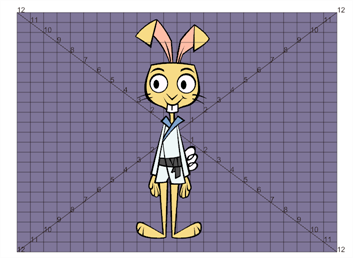 The grid size will always be a 4:3 ration, as per traditional animation standards, but will adjust the camera frame width. You can change the grid to adjust to the camera frame by disabling the Fit Vertical option. Disable this option is you only want to see the grid but not the numbers. 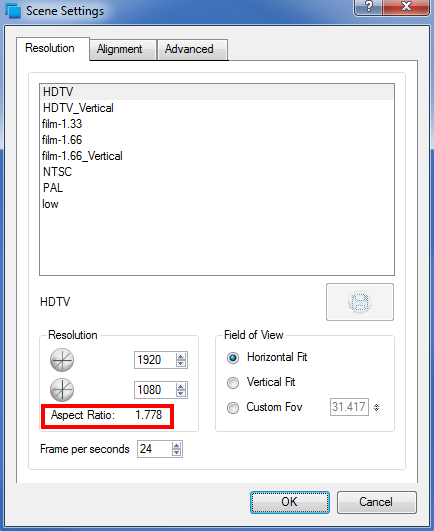 Enable this option to see the number gradation. The colour and alpha values of the corresponding point. You can also click on the colour swatch to open the Colour Picker window and select a grid colour. 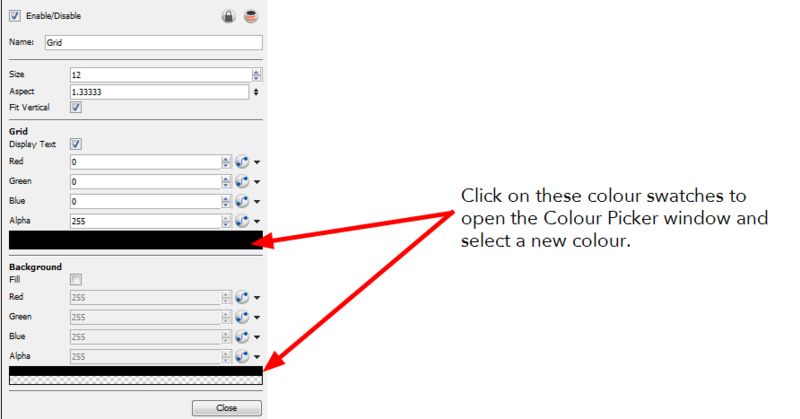 You can click on the second colour swatch to open the Colour Picker window and select a background colour. When selected, the grid's background becomes opaque. Nothing behind will be shown. You can also click on the second colour swatch to open the Colour Picker window and select a background colour. The grid size will adjust the camera frame. You can change the grid to either adjust to the camera width or height by disabling the Fit Vertical option. 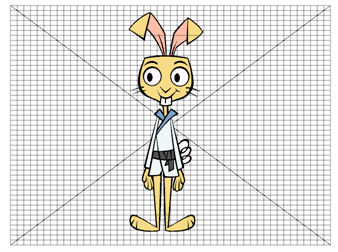 The grid size default format is 4:3 ratio, as per traditional animation standards, but will adjust the camera frame width. 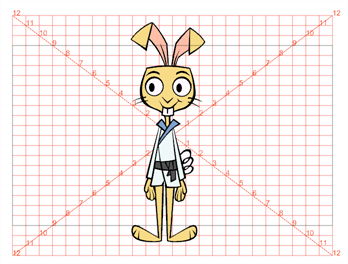 You can change the grid ratio by entering a new ratio in the Aspect Ratio field. You can find your scene ratio under Scene > Scene Settings.